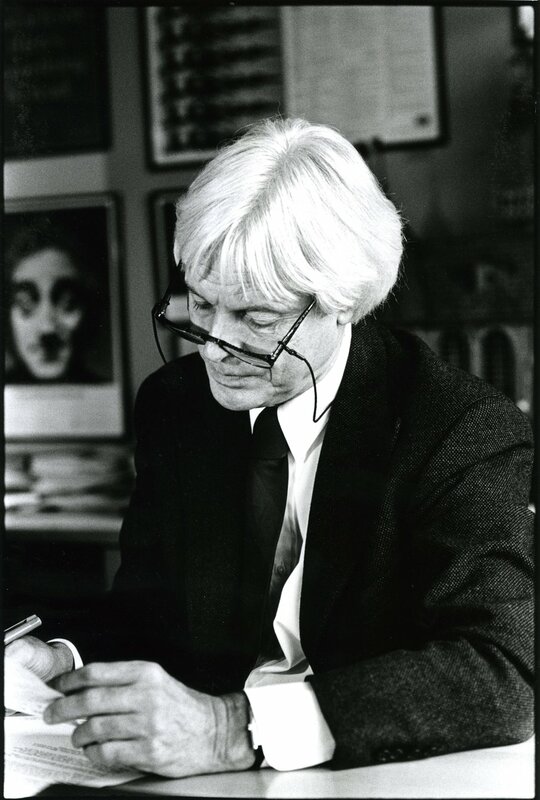 David Abbott was D&AD President in 1975 and President's Award Winner in 1986. David sadly passed away on 17 May 2014. David Abbott was born in London in 1938. He was educated at Southall Grammar School and Merton College, Oxford. In 1960, he started his career as a copywriter in the advertising department of Kodak. In 1963, he moved to Mather & Crowther where he worked on Shell and Triumph Cars. He was made Copy Group Head. In 1965, he moved to DDB London as a copywriter. In 1966 he was transferred to DDB New York for nine months where he worked on Mobil and Volkswagen. In 1967, he became Creative Director of DDB London and just before his 30th birthday, Managing Director as well. In 1971, he left to start French Gold Abbott. In 1977, he started Abbott Mead Vickers where he was Chairman, and Creative Director. (And copywriter.) He retired from AMV in 1998. He won many awards in his career and created many celebrated campaigns. In 2001, he was inducted into the One Show Creative Hall of Fame, the first Briton to receive this honour since David Ogilvy. In 2010, he published his first novel, The Upright Piano Player. The following article was published in The Copy Book in 1995. I write with an Artline 200 Fine 0.4 Pentel — blue ink, never black. I generally work on a3 layout pads but will sometimes switch to an a4. Definitely low tech stuff. I write with my office door open — more often than not I keep my jacket on and in defiance of my mother’s instructions, my feet are usually on the table. Whatever the size of the layout pad, I write body copy in column widths. This habit goes back to my days on the vw account in the Sixties. I knew how many words to the line were needed and how many lines to the ad. Writing in columns made it easier to get the word count right. Alongside the column I jot down thoughts or phrases that come to mind before I need them. They stay there in the sidings until there’s a place for them. I also write down in the margins all the clichés and purple bits that clutter my head. I find that only by writing them down do I exorcise them. If I simply try to forget them they keep coming back like spots on a teenage chin. I rarely plan the shape of a piece of copy. By the time I come to write, the structure of the argument is somehow in my brain. I spend a lot of time fact-finding and I don’t start writing until I have too much to say. I don’t believe you can write fluent copy if you have to interrupt yourself with research. Dig first, then write. Like many other copywriters, I read my copy out aloud as I write. It helps me check the rhythm of the line and ultimately the flow of the whole piece. I often adopt the appropriate accent or tone, though my general “reading-copy” voice is laughably mid-Atlantic (I read silently if there are other people in the room). When I’m working on concepts, I draw the shape of the ad space and write the headline (or scribble the picture) within its borders. It’s odd but I can’t judge an Economist headline until I’ve drawn a line around it. When I was younger I used big Pentels and large pads and swashbuckled my way to fertility. An ad a page. Now my would-be ads are much smaller and I might cover a page with six or seven thoughts — though sometimes when I’m stuck I go back to the big pad and the big pen. A change in procedure is often a good idea when you’re not getting one. I’ve been writing copy since 1960 and by now I’m comfortable with the job. I don’t panic and I know that the best thing for me to do when tired or thwarted is to walk away from the ad and do something else. The job still surprises me and for every easy problem, there’s a stubborn sister. I might rework a headline 50 or 60 times to get the thought and balance exactly right. If I think there’s an ad in there somewhere, I nag at it until it comes out. I’m often surprised how quickly time passes when I’m doing this. I look up and discover that I’ve been fiddling with the words for three hours. is less important than what you do. 3. If you believe that facts persuade (as I do), you’d better learn how to write a list so that it doesn’t read like a list.